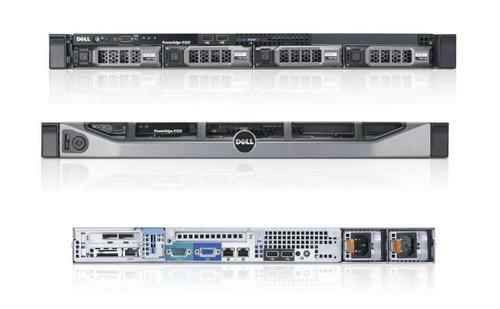 Built on the popular Dell PowerEdge 1RU server platform, this model is suitable for VoIP, RoIP, and AoIP audio logging and call recording applications. SIPrec sessions via UDO/TCP port. Unicast and multicast RtP streams via UDP port. Built specifically for the purpose of hybrid audio logging and call recording and running on a Linux platform that utilises hot-swap RAID storage technology, it is highly reliable and tolerant to system and storage faults. It uses a redundant hot-swappable power supply for 24/7 uninterrupted operation. It is a professional hybrid call recording solution with no compromise on features and affordable price. This model does not have a built-in GUI interface. Configuration and control is via a PC application - Total Recall VR Desktop for example. Convenient 1RU 19" rack mountable enclosure. Ideal for VoIP, RoIP and AoIP audio logging and call recording. On-board audio storage and archive up to 380,000 hours of audio at 8Kbps and/or 60,000 hours at 64Kbps. Solid state hard drive (SSD) for improved performance.